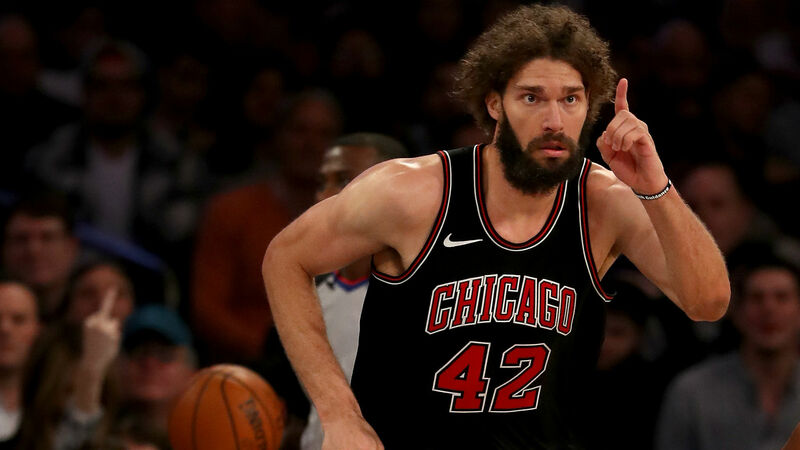 Robin Lopez appears like he’ll be remaining with the Bulls. The 30-year-old center is unlikely to receive a buyout from Chicago, according to a report from the Daily Herald. Players must be waived by Friday in order to maintain playoff eligibility if they sign with another team. “I haven't even been thinking about it,” Lopez said. “We've been having a lot of fun out on the court right now and I'm relishing it." Bulls coach Jim Boylen praised Lopez’s leadership Tuesday. Lopez is averaging 7.9 points and 3.2 rebounds for the Bulls this season. The Warriors reportedly would have been interested in him if he became a free agent. The Bulls will face the Grizzlies in Memphis on Wednesday. They’ll enter that matchup with a 16-45 record.